The Vatican is steadily becoming more and more transparent. Proof of it is the appointment of an international expert to head its Authority for Financial Information. Can the Jesus’ infancy narratives be a reason for controversy? What has resulted from Vatileaks? First of all, isolating the Pope from its collaborators. Who, after the leaking of documents –even if inconsequential– will dare to write freely to the Pontiff? 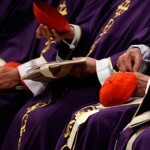 Secondly, Vatileaks gave rise to a climate of suspicion that is seemingly favoring the return of the Vatican Old Guard. This reading would be sustained by the return to Italy of Msgr. Tommaso Caputo, to become bishop of Pompei, and the concurrent assignment of the Secretary of State Chief of Protocol, Msgr. Fortunatus Nwachukwu, as papal nuncio to Nicaragua. Msgr. Nwachukwu’s appointment was made public on Monday, November 12th. He has seemed to be isolated within the same State Secretariat for a while now, throttled by the poisoned atmosphere that followed the publication of the Pope’s private papers. There can be indeed several reasons for this appointment. After 5 years as head of Protocol, Nwachukwu was ready for a career advancement. At first, rumors placed him as the next nuncio to Egypt. But then something changed, and the position of Papal nuncio to Egypt was rumored to be going to Msgr. Thevenin. Nicaragua, with its long history of relations with the Holy See, was said to be of particular interest to Nwachukwu. The announcement of the appointment of Nwachukwu came right after Caputo’s, announced on Saturday, November 10th. Given that Caputo rose through the ranks under the protection of the old gang of diplomats, the image portrayed by these two appointments is that they are linked. Someone from the new crop of leaders departs while an old face returns, and thus the estrangement of the Pope from his collaborators increases. In fact and any new appointment will now be under analysis after the leaking of documents, since each appointment can be read in the light of Vatileaks scandal. This is another Vatileaks result, that no one is suspicion free. The impression is that there had been several opportunities to stop the leaking before of the scandal. In many occasions, tracing back who gave news and documents to whom and who did not keep watch, is quite simple. It is not important what kind of news are. So, the breach was pinpointed, and maybe underrated. But closing the gap is perhaps making even more confusion. Secretary of State Card. Tarcisio Bertone’s administration did not take off on the right footing. It was inaugurated with Angelo Sodano’s administration missteps in the Regensburg lectio magistralis (Sodano left the Secretariat of State, as planned, the day the Pope was returning from his trip to Germany). Bertone had to deal with a hostile environment. Patiently, the Secretariat of State was put together piece by piece, with trustworthy collaborators naively criticized as «too close to Bertone». Up until the promotion to Papal nuncios of Giordano Caccia and Pietro Parolin, important actors in Sodano’s administration. Yet some have managed to ride the wave of change. «Never before» is a recurrent phrase in the Sacred Palace corridors. But it is not so. There have been even more disruptive books published during the previous administration. As the Via col vento in Vaticano saga, full of content for those who really wish to understand the state of affairs in a Secretariat of State clearly hurting. It takes the discerning eye of a Vatican insider to really understand the rationale for some of the new appointments. A reporter can only gather background comments about them and present them for the reader to interpret them. So, let’s take a look at the recent appointments. First, Charles Scicluna, promoter of Justice of the Congregation for the Doctrine of the Faith, has been appointed Auxiliary Bishop of La Valletta, in his homeland of Malta. He wanted to go back home, some say. But others maintain that this appointment was a punishment for aptly addressing head on the pedophilia cases. Yet others claim that there were suspicions that Scicluna himself had leaked information at the time of the pedophilia scandals. Where from, if not the CDF, could some of the documents leaked to newspapers had come? 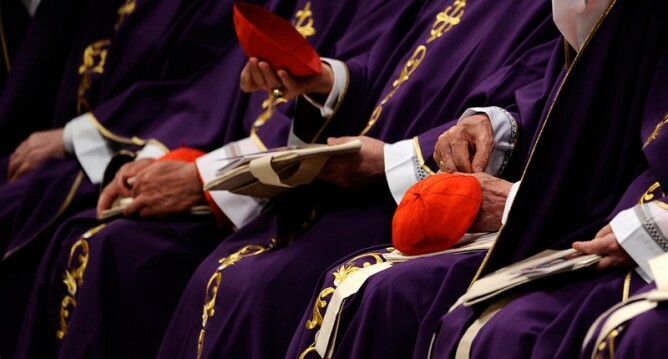 Then, the Pope announced a consistory for November, to create new cardinals. Surprisingly, James Michael Harvey, Prefect of the Pontifical Household, is among the new cardinals. Harvey’s references, together with those of others, helped the disloyal Paolo Gabriele obtain the position of butler. Harvey’s next post – the Pope announced – will be that of Archpriest of the Pontifical Basilica of Saint Paul Outside the Walls. Cardinal Monterisi, the current archpriest, has in fact surpassed retirement age. Yet, the transfer and turnover has not taken place yet. Does Harvey risk becoming a cardinal without specific responsibilities? And there is, finally, Tommaso Caputo’s appointment as Prelate Archbishop of Pompei, the biggest Marian sanctuary in Italy. Generally, together with the appointment of the new bishop, the resignation of his predecessor is communicated. This did not happen in this case. Carlo Liberati, bishop of Pompei, just turned 75, but his resignation have not been officially announced yet. Many expected that Liberati would remain in Pompei one more year, for a donec aliter provideatur («until further notice ») extension usually granted to bishops in good standing. Liberati was highly esteemed in the Apostolic Palace, where some had worried that the Pompei sanctuary had not generated enough of its own supporting income. Liberati had been appointed bishop of Pompei to fix cash problems and the organization of the sanctuary, and he dedicated himself with energy to the task. He even celebrates intention masses that nobody had celebrated despite the fact that the Sanctuary had accepted donations for them. Liberati leaves the organization and finances of the Sanctuary in good shape. Caputo, until now Papal nuncio to Malta, takes his place. There are no derogatory rumors about him. Caputo is considered a kind and skilled person. Yet, some note that he is also linked to the old State Secretariat establishment (he was Chief of Vatican Protocol for 15 years, and he worked closely with the Cardinal Giovan Battista Re), to that old diplomatic corps that in many cases has become a sort of club of malcontents. Yet, Caputo’s appointment fills a vacuum as the right man for the right place, after none of Cardinal Sepe’s –Archbishop of Naples and president of the Regional Bishops’ Conference of Campania– had been deemed suitable. Msgr. Nwachukwu’s appointment is still hard to interpret. His successor is Msgr. Bettencourt, a non diplomat that served in the Papal Chamber. So, for the moment, the old guard seems to stay. Has Bertone’s Secretariat of State been marginalized? If so, who can the Pope trust hereafter?